DEWALT FLEXVOLT High Efficiency Accessories are engineered to Maximize Runtime. The hole saws feature a self-feed pilot bit for fast, efficient cutting, carbide teeth for long life, and a thin kerf design for high efficiency. For use in cordless and corded tools. The DEWALT DWAFV0214 Hole Saw is 2-1/4inches in diameter. 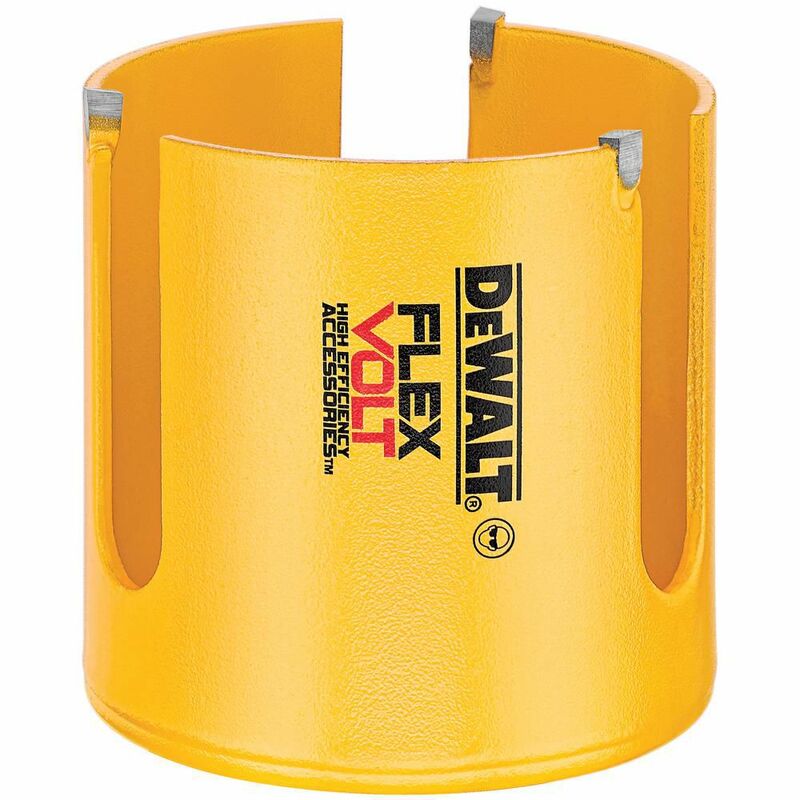 FLEXVOLT 2-1/4 Inch Carbide Wood Hole Saw DEWALT FLEXVOLT High Efficiency Accessories are engineered to Maximize Runtime. The hole saws feature a self-feed pilot bit for fast, efficient cutting, carbide teeth for long life, and a thin kerf design for high efficiency. For use in cordless and corded tools. The DEWALT DWAFV0214 Hole Saw is 2-1/4inches in diameter.